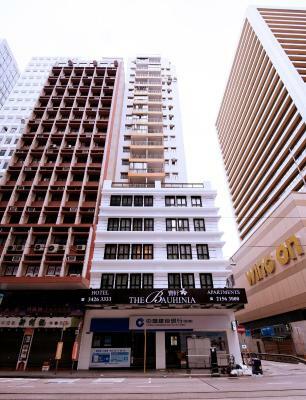 Lock in a great price for The Bauhinia Hotel - Central – rated 8.4 by recent guests! 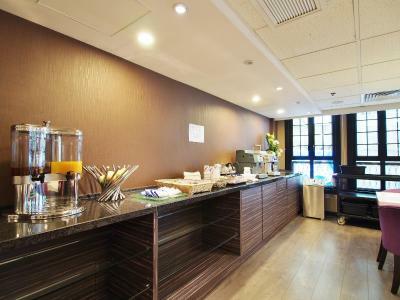 The lady who checked me in was super nice :) the room spacious and they serve refreshments in the morning. Nice big bed, Good shower. Great location near metro, tram, bus. Good location. Cheap. Complementary water and soft drinks. 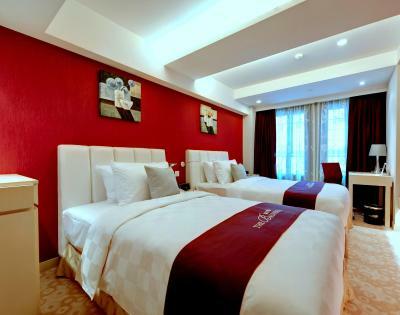 It's the second time I stayed here, all two rooms were very clean. And the size of the room is quite big comparing to other hotels in this area. The staffs are very Friendly. 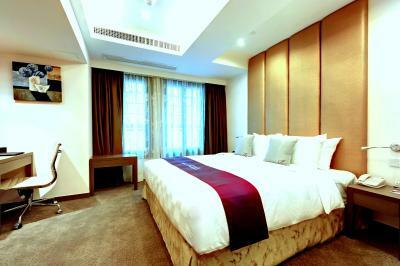 The hotel is located near many places to visit and restaurants to eat. Very convenient. 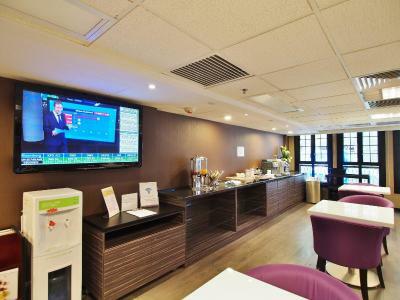 Close to MTR exit and airport bus. 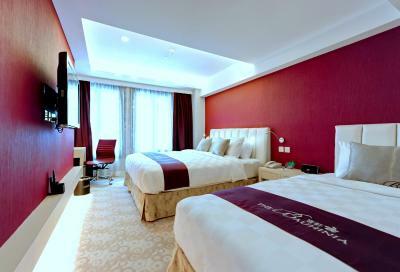 Facilities and ameneties in the room are all as you want. The hotel was very close to the subway making it easy to get around. 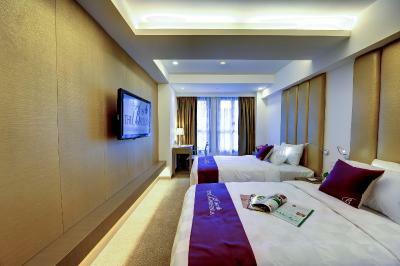 When I arrived, they indicated they moved me up a level in rooms and I had a very spacious room. I had expected something tiny. Recommend the BlackStar bar about a block away to get a quick drink or bite. 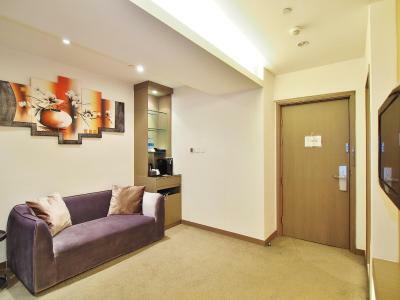 Great location and value for money, right next to Soho, Lan kwai fong, very near IFC mall for airport express and near the ferry port. 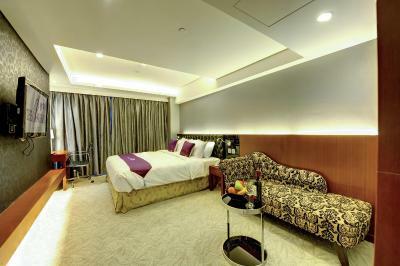 Very large rooms for Hong Kong, stayed for three nights and felt very comfortable and relaxed the whole time I was there, would definitely stay here again next time in Hong Kong. 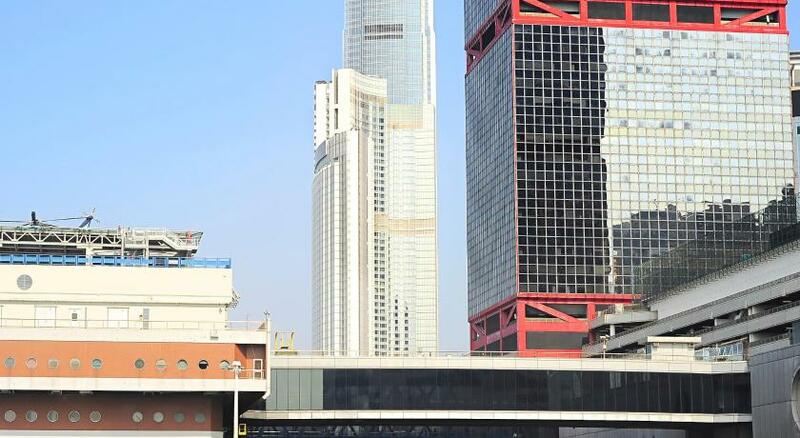 Hotel is literally 2 minutes walk from the MRT and access to the whole of Hong Kong and also a great location for harbour ferries and Macau Ferry if needed. Plenty of local eateries within walking distance. Staff gave us a room upgrade without asking. Tea and coffee and rooms well kept. Free morning and afternoon snacks in the restaurant are a great bonus - especially if you are just a coffee in the morning and not breakfast person. Bigger than most rooms in HK. Very comfortable, good location and Worth the price. 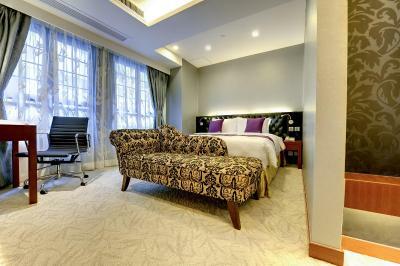 The Bauhinia Hotel - Central This rating is a reflection of how the property compares to the industry standard when it comes to price, facilities and services available. It's based on a self-evaluation by the property. Use this rating to help choose your stay! One of our best sellers in Hong Kong! 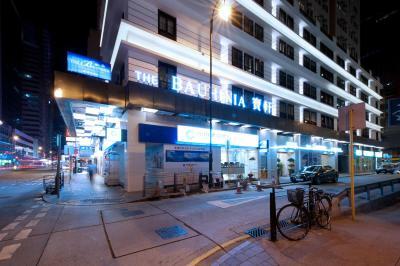 The Bauhinia Hotel – Central is in Sheung Wan’s business area, a 2-minute walk from Sheung Wan MRT subway station. 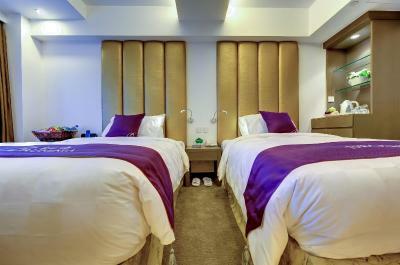 This non-smoking hotel features rooms with a flat-screen TV and free Wi-Fi. 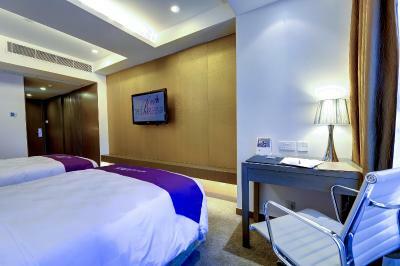 Modern décor and large windows are featured throughout guest rooms at The Bauhinia. 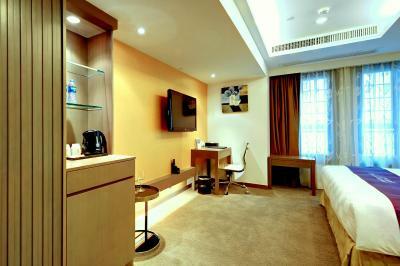 Each well-furnished room is equipped with an iPod docking station and DVD player. Hot shower facilities are in the private bathroom. 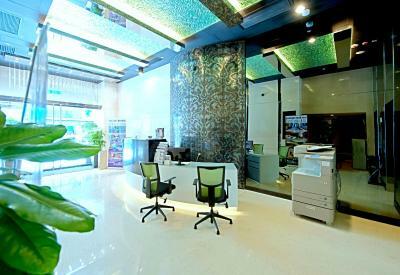 With a 24-hour front desk, the hotel provides currency exchange and fax/photocopying services. 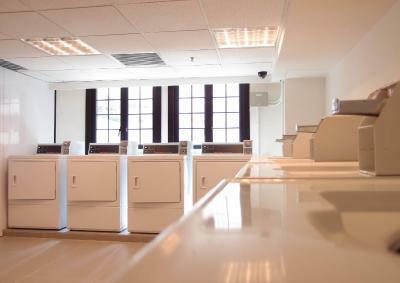 Laundry and dry cleaning services are also available upon request. 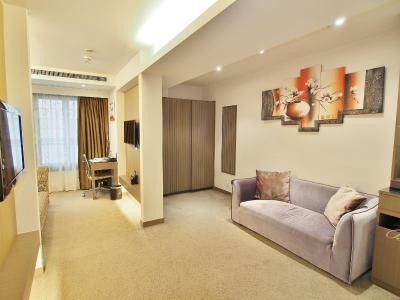 Bauhinia Central is 2 miles from Times Square. The Hong Kong Airport Express Station is a 10-minute walk from the hotel. When would you like to stay at The Bauhinia Hotel - Central? 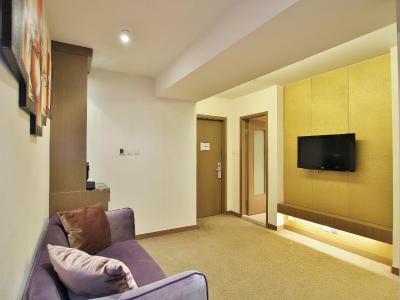 Fitted with carpeted flooring, this air-conditioned room comes with a flat-screen TV, DVD player and personal safe. Private bathroom has a shower. If the guest's booking is under nonrefundable policy, in case of amendment, cancellation or no-show, the total price of the reservation will be charged. 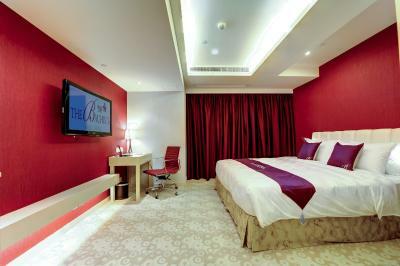 Larger room features a flat-screen TV, DVD player and iPod docking station. 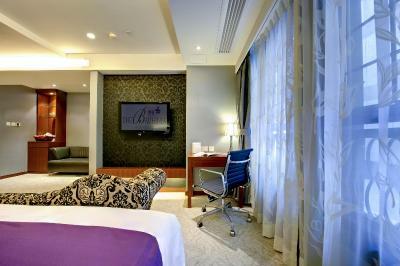 Room features a flat-screen TV, iPod docking station and seating area with sofa. 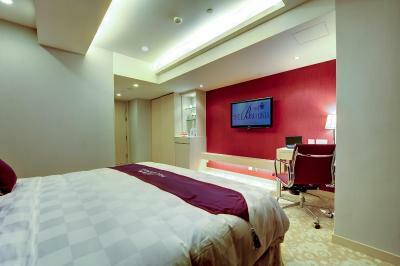 Large room features a flat-screen TV, iPod docking station and seating area with sofa. This twin room has an electric kettle, DVD player and air conditioning. If the guest's booking is under nonrefundable policy, in case of amendment, cancelation or no-show, the total price of the reservation will be charged. 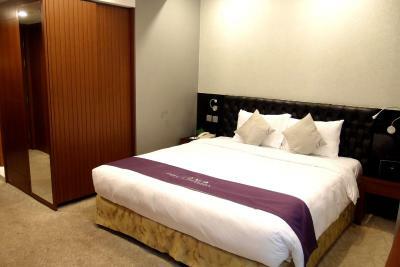 This twin room has air conditioning, DVD player and iPod dock. This family room has an electric kettle, DVD player and air conditioning. 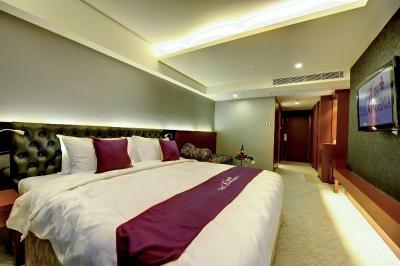 The Bauhinia Hotel (Central) offers a tranquil home-away-from home atmosphere to make your stay enjoyable with our modern boutique hotel concept. 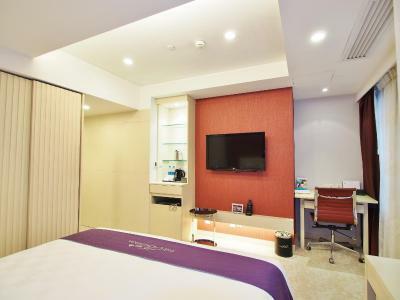 Just short distance from the most prestigious shopping, entertainment and business areas of IFC, SOHO, Lan Kwai Fong and Central brings exemplary service to an environment known for business and leisure that is unequalled in this city today. 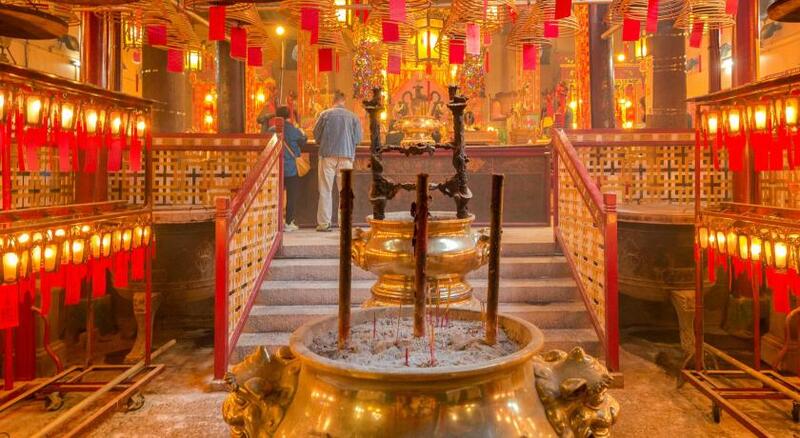 House Rules The Bauhinia Hotel - Central takes special requests – add in the next step! 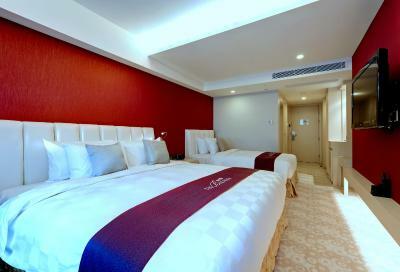 The Bauhinia Hotel - Central accepts these cards and reserves the right to temporarily hold an amount prior to arrival. 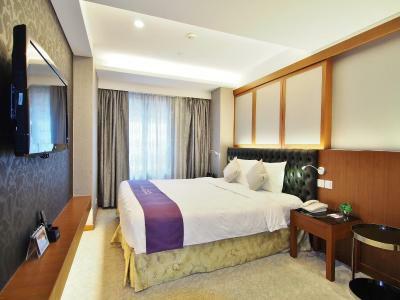 Please note that China Union Pay is not allowed for guarantee purpose during the booking process and it is only for payment settlement at the hotel. Please note that the property requires a credit card pre-authorization prior to arrival while full payment will be charged upon arrival. If guest's booking is under Nonrefundable policy, in case of amendment, cancellation or no-show, the total price of the reservation will be charged. Not much selection for breakfast, but coffee was great! That's about it.. The location is just perfect, close to all kinds of transportation. Walking distance to Central district. The room was quite comfy, especially the beds. Staff is helpful too and friendly. Hotel is quiet compared to the big hotels.. clean! Highly recommended. Will stay there again in the future. Breakfast was just too basic... surely they can afford cereal or toast. Very disappointed. Staff are just as basic... they are there but not for you ! Did not see one smile the time we were there. Answered questions in as little detail as required then went back on their phones. Great room very roomy clean and quiet. Sensational location cannot get a better location to everything. The lobby is too small and the lugguage storage area after check out is not too presentable. I would think that they should have a proper room to keep the lugguages instead of put them all over the lobby area. The breakfast was pretty good, although it was simple. The location of the hotel is very convinient for us to go around, and many good local eateries/restaurants are nearby the hotel. I would like to come back to this hotel if I will visit Hong Kong again. Location convenient to Metro and all public transport. Free continental breakfast. 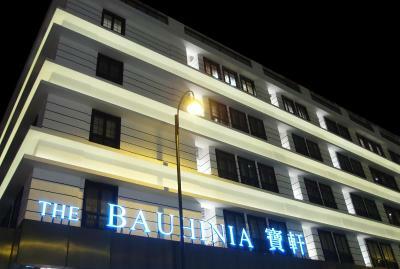 This was our second stay at Bauhinia this month. Both were quality stays in nice rooms. We reserved through booking.com due to the usually lower room rates for this past weekend. 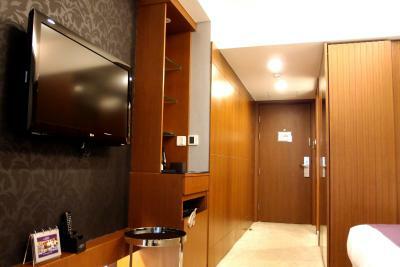 Reservation confirmation was received immediately and we were checked-in smoothly and quickly. 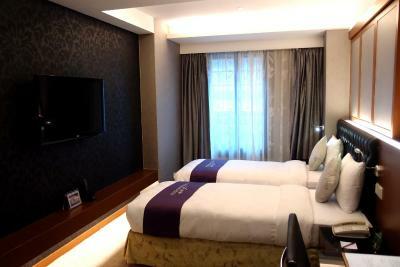 Room was spacious, bed more comfortable this time around, pillows also nicer. Room safe, TV, wifi, A/C all worked as expected. All furnishing was in good condition and served its purpose. Bathroom was spacious enough, modern and came with expected toiletries. 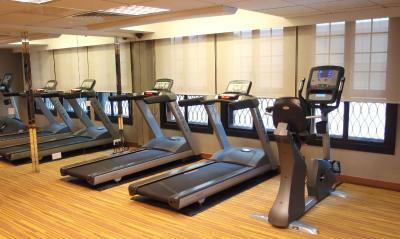 Stay comes with access to 4th floor gym and common room where breakfast foods, juice and coffee are served. Snacks and coffee are later available in the afternoon as well. 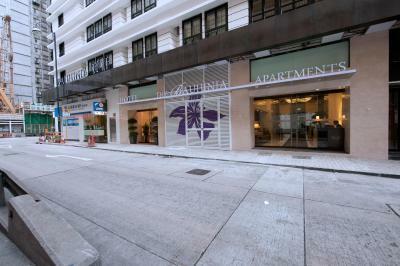 Location is great, just 2 minute walk to the Sheung Wan Station. Plenty of restaurants, coffee shops and bars within walking distance. Very close to everything, including trains and ferries. Great place, small but very user friendly. Reasonable price deal with limited offer. 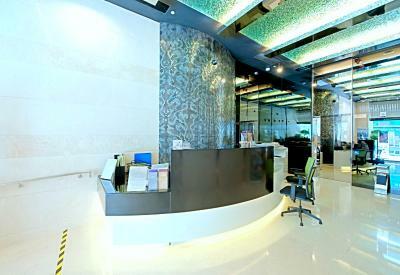 Concierge service and comtemporay items is in good conditions. Other guests were quite noisy. Back street hotel with old and tired decor. Damp smell in room.